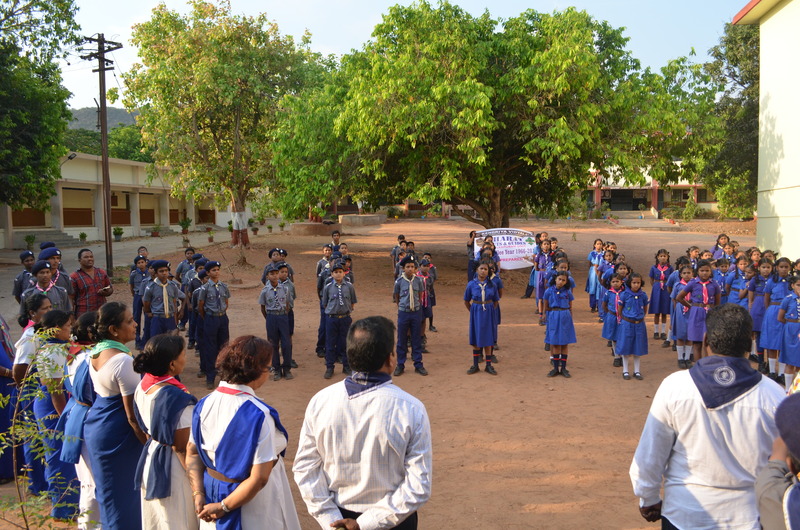 Kendriya Vidyalaya Malkapuram Golden Jubilee Celebrations started with Bharat Scouts & Guides movement. 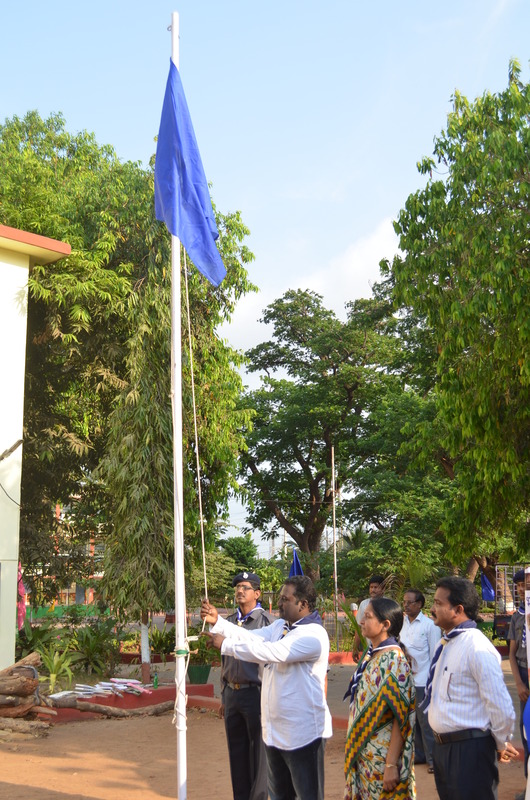 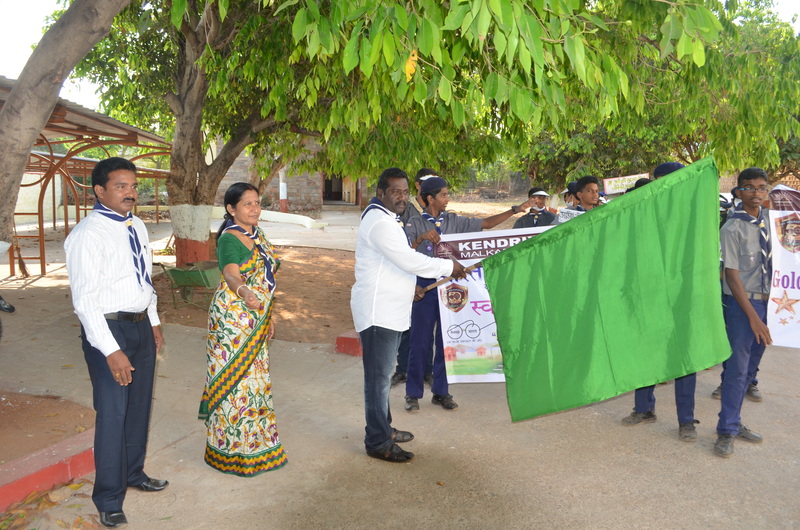 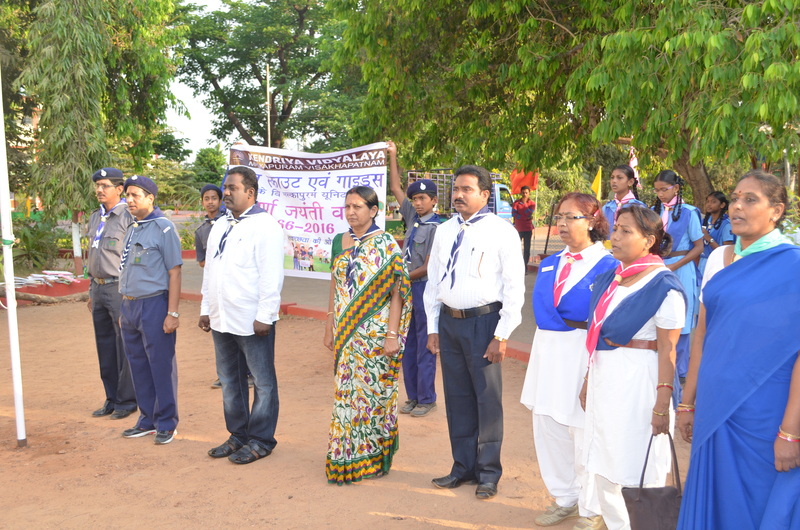 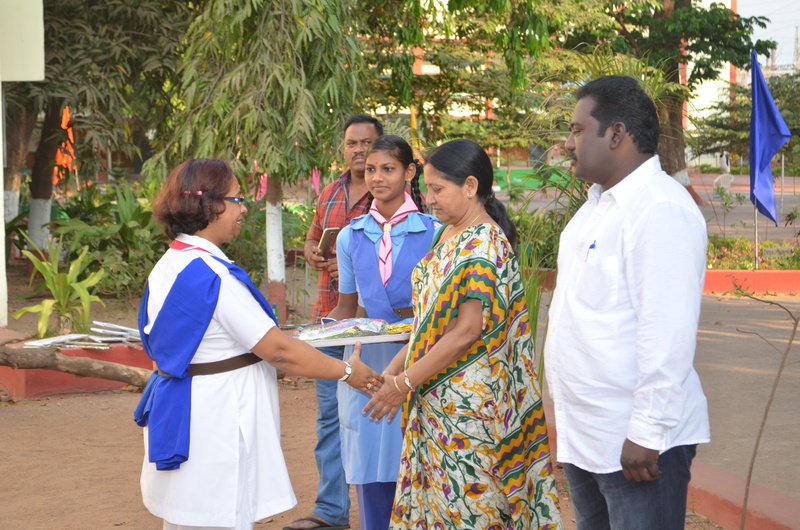 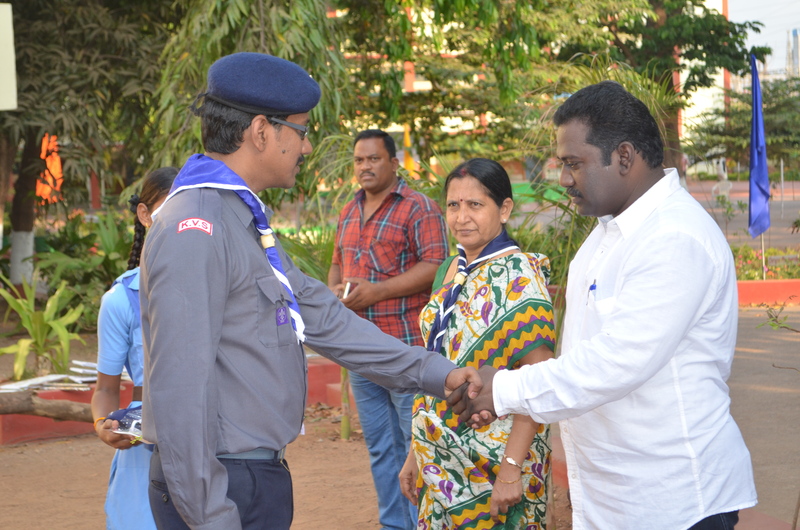 At 6.30AM Flag break break ceremony for scouts and guides inaugurated by Mr.M.Somesh ward member of Malkapuram and Dr.D.Vijaya Principal KV Malkapuram. 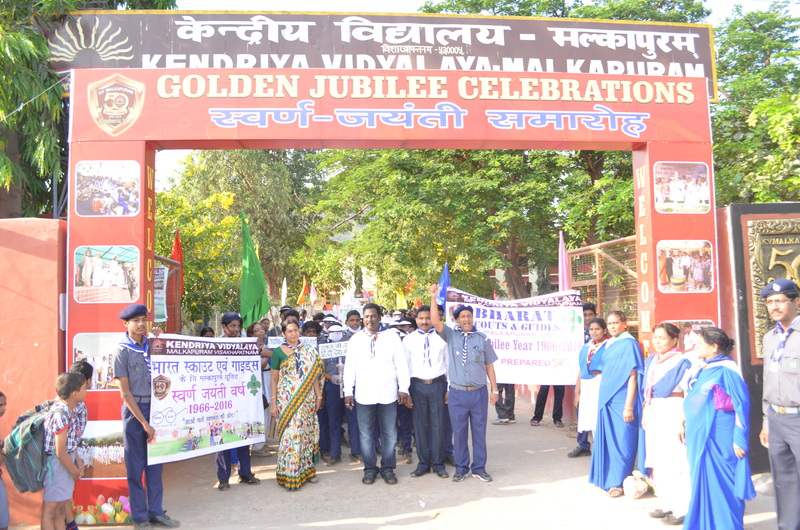 In this auspicious occasion chief guest Mr.M.Somesh told the students that participate in Swatch Bharat, Swatch Vidyalaya and study with moral values &apply the same in the society and bring awareness in the society. 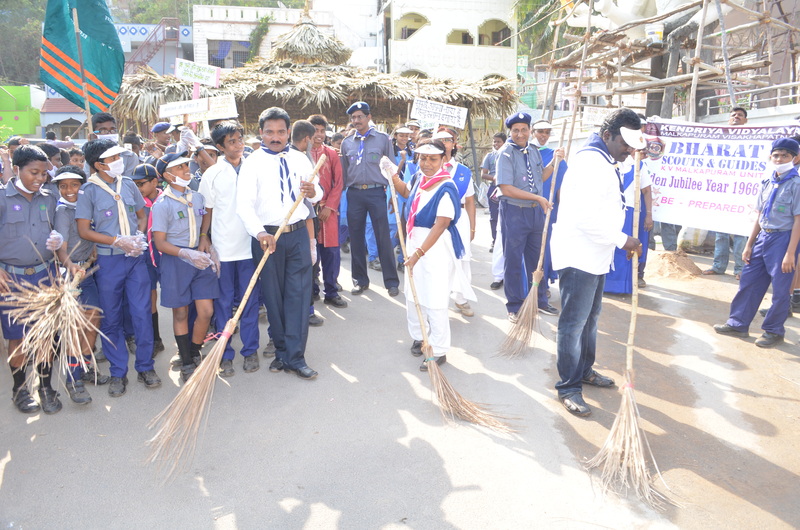 All the scouts and guides went to to Swatch Bharat Avtivity at Trinadhpuram of Malkapuram and completed the cleanliness drive near the temple of Trinadhpuram. 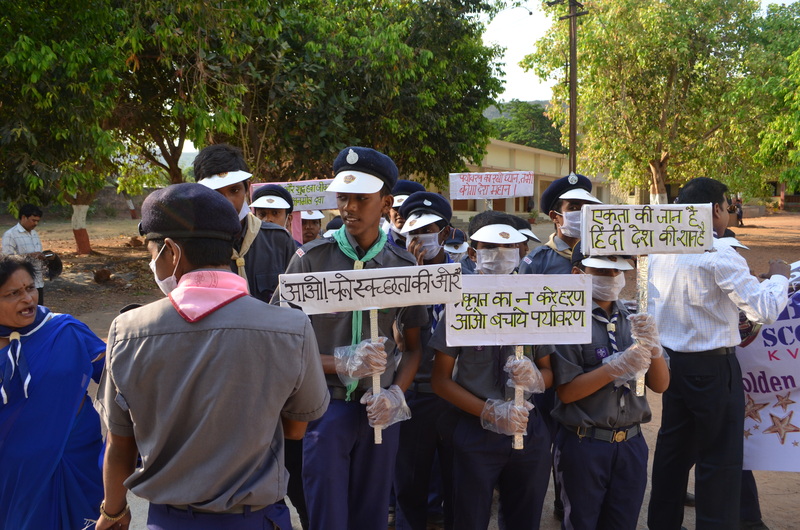 Children were played one drama to motivate the people for Swatch Bharat.